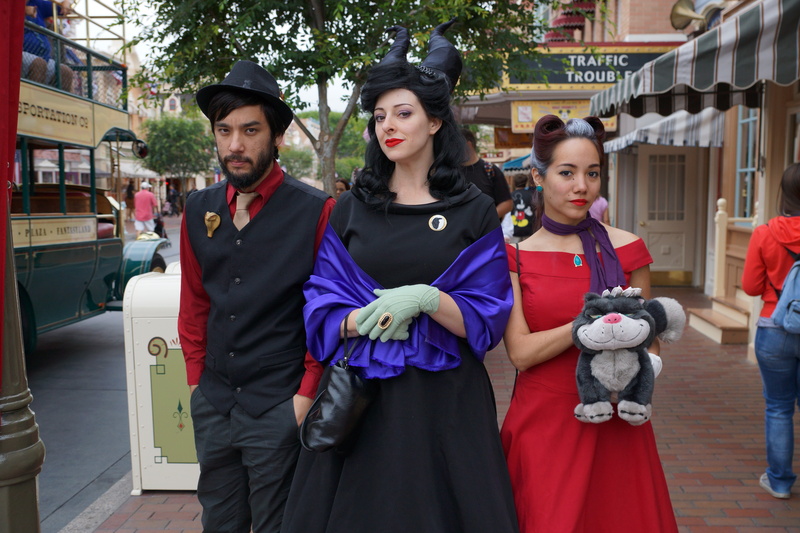 Disney fans from all over Southern California got up early this morning and gathered in front of the gates of Disneyland and Disney California Adventure to kick-off the Rock Your Disney Side 24 Hour Celebration. 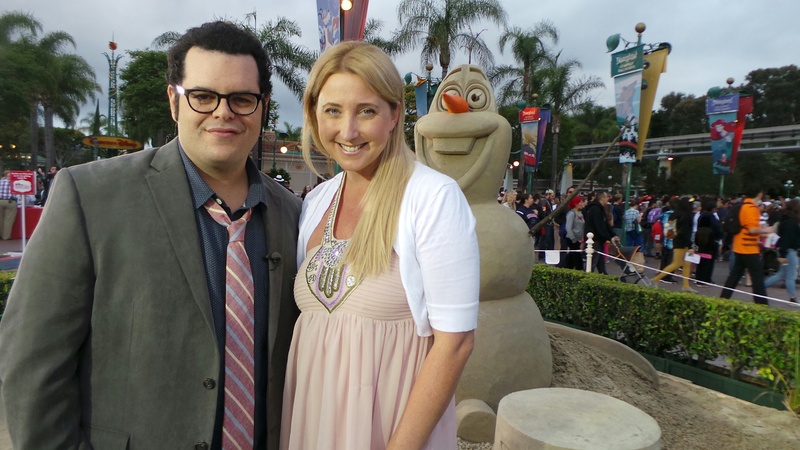 The fun began as Josh Gad, the voice of Olaf, in the Walt Disney Featured Animated Film “Frozen” gave the countdown to the gates staying open for guests to show their Disney Side for a full 24 hours. 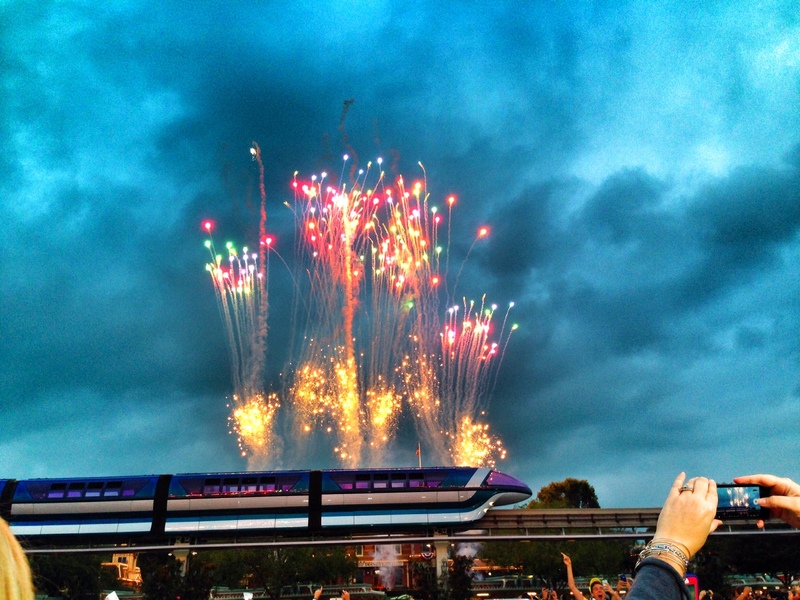 After the countdown, there was fireworks and cheers as the gates welcomed guests for rides, fun, entertainment and more. 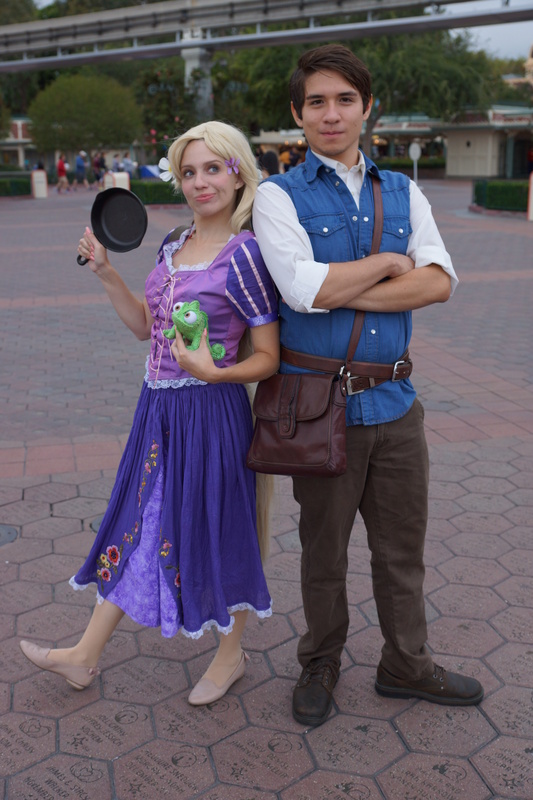 Guests came dressed as their favorite Disney characters to show their Disney Side during the rockin’ 24 hour celebration. 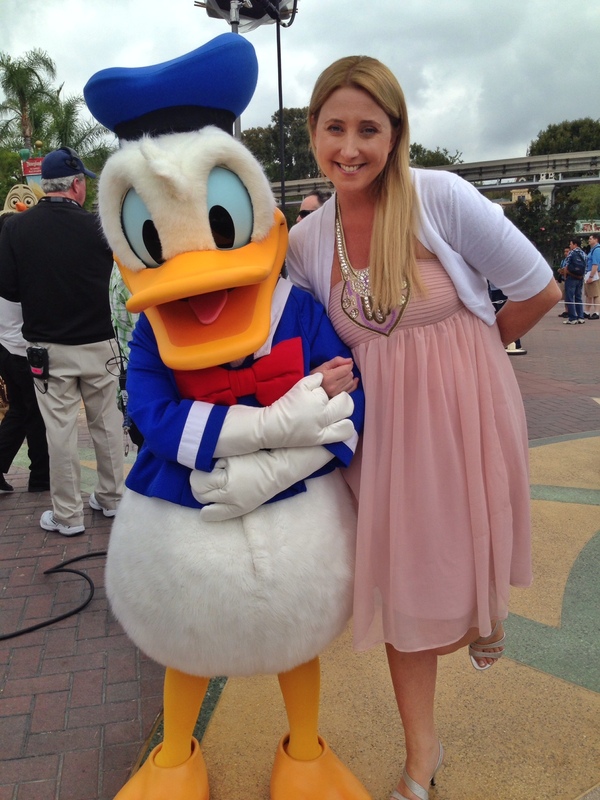 I rocked my Disney Side by Disney Bounding Sleeping Beauty for the celebration. In the Esplanade, outside of the park entrances is a giant Olaf sand sculpture that took over 40 hours to create and is made of 9 tons of sand. We talked with the creator of the sand sculpture who shared with us what it took to create the 8 foot tall sculpture. 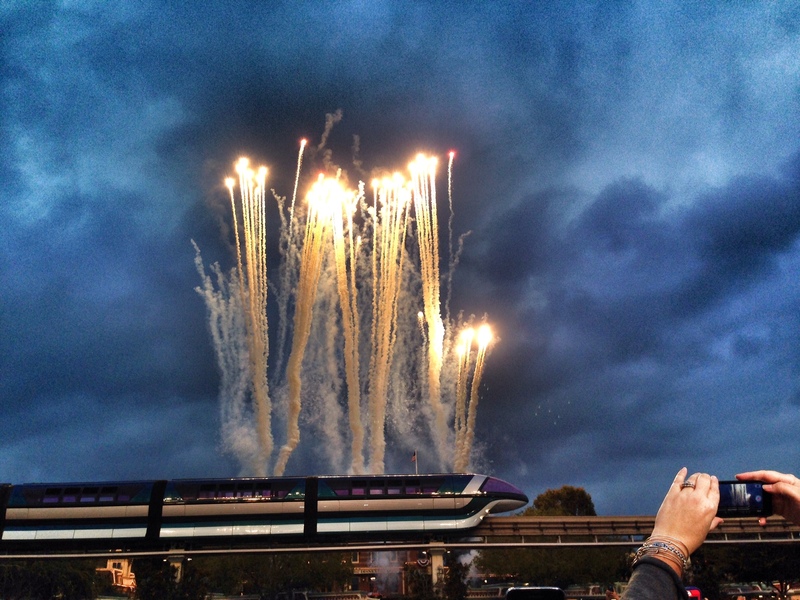 Curious about what will happen to the 9 tons of sand after the 24 hour celebration? Disney will be donating it to be used for the volleyball court in Edison Park in Anaheim. Next to the giant sand sculpture is a beautiful sidewalk chalk artwork by the talented artist, Noah. 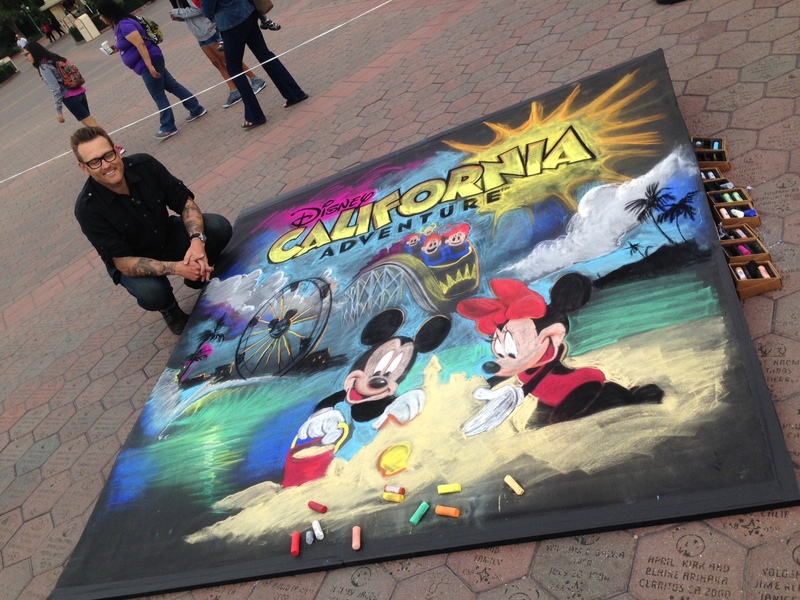 The 8×8 chalk art features Mickey Mouse on the beach at Paradise Pier in Disney California Adventure Park. 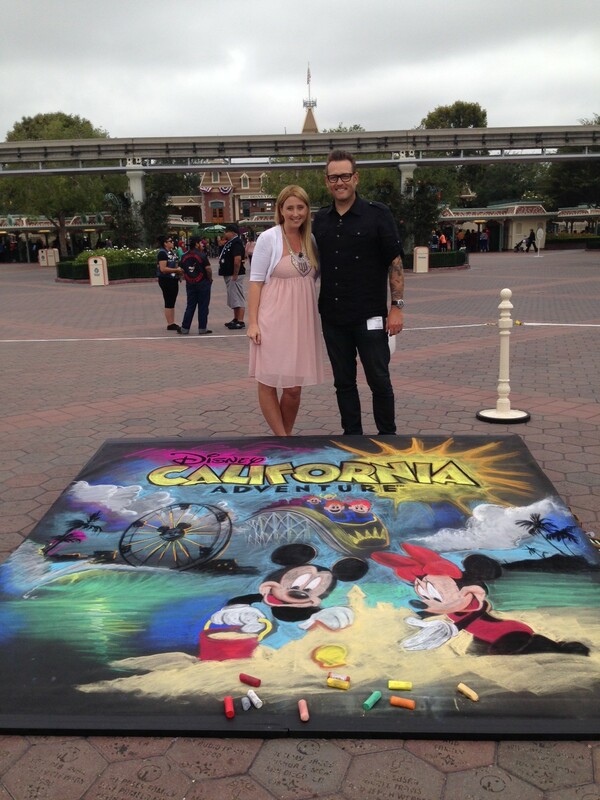 Disney is encouraging families to great creative with their children by creating sidewalk chalk creations and sharing the pictures on Instagram with the hashtag #DisneySidewalk. 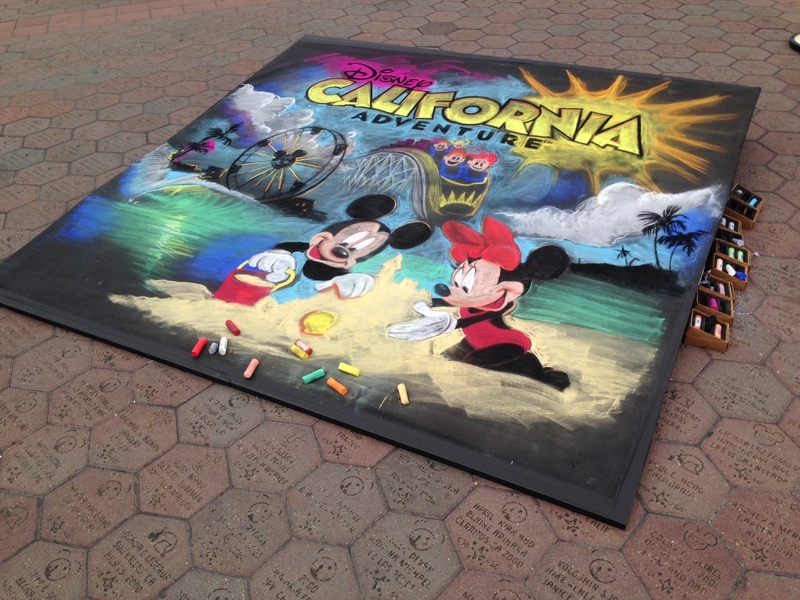 Disney will be featureing different sidewalk chalk masterpieces shared with the hashtag on the Disneyland and Walt Disney World Instagram feeds. After the 24 hour Celebration, the artwork displayed at Disneyland will be donated to Autism Speaks for auction. Inside of the parks there is a wide variety of entertainment including special shows, dance parties, parades and more happening throughout the night until 6am tomorrow morning.